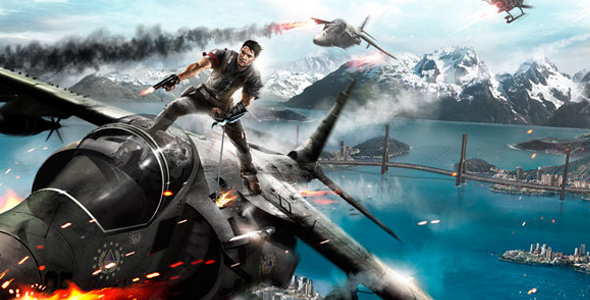 Avalanche Studios, the folks behind the wonderfully wacky Just Cause 2, said in a recent interview that the PS4 will out-perform most PCs for years to come. In the full interview with Gaming Bolt, studio co-founder Linus Blomberg went on saying that because of increased competition with the mobile and PC space, a new console generation was needed “desperately.” While I’ll be the first to admit that the current console offerings have been pretty stale for the past few years, I don’t see how a PS4 will out-perform most PCs for too long. Technology constantly advances, and Sony’s oft-touted DDR5 RAM standard has been implemented in graphics cards for years now. And RAM does not equal raw computational power. Processor and graphics architecture are arguably the two most important things to consider when choosing a high-performance machine. Without any specs on the PS4’s processor and graphics, who knows what we’re working with then? Short term, the PS4 will be up to the standards PCs have been setting in terms of raw games performance. But give it three years. I promise the PS4 will start to lag behind.